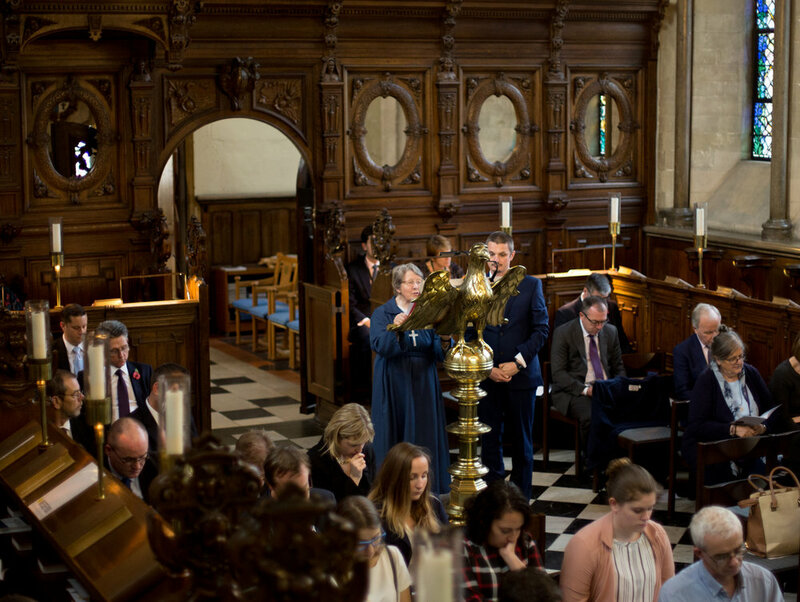 After our launch event, we held a Commissioning Service in the Lambeth Palace Chapel, where we welcomed our guests and asked them to pray for the future of The Clewer Initiative. The service was led by Bishop Alastair Redfern, the Bishop of Derby. The liturgy was written by clergy from the Diocese of Derby, who have been raising awareness of modern slavery for several years. We asked two people to read scripture for us during the service. Sister Mary Stephen, one of the Clewer Sisters who fund our work, read from Isaiah. Sir Matthew Baggott CBE, the President of the Christian Police Association, read from St. Matthew's gospel. 'Blessed are the poor in spirit, for theirs is the kingdom of heaven. 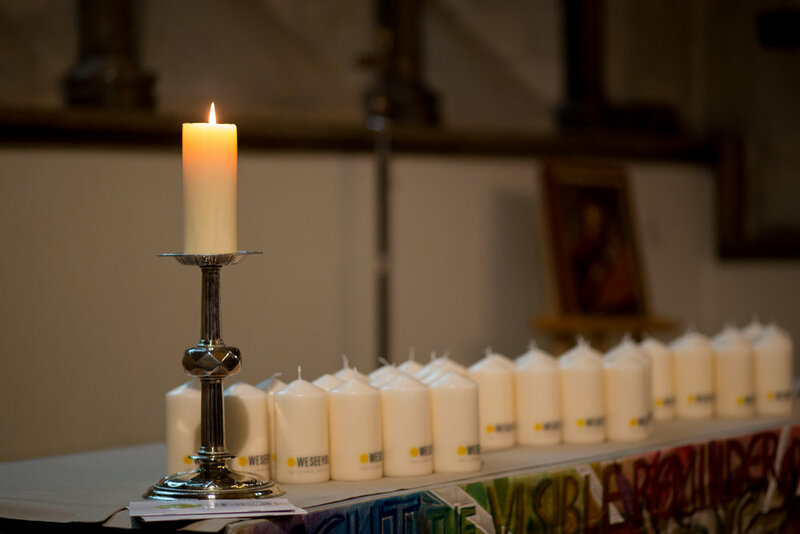 To celebrate the commissioning of The Clewer Initiative each Diocese will be sent a candle. 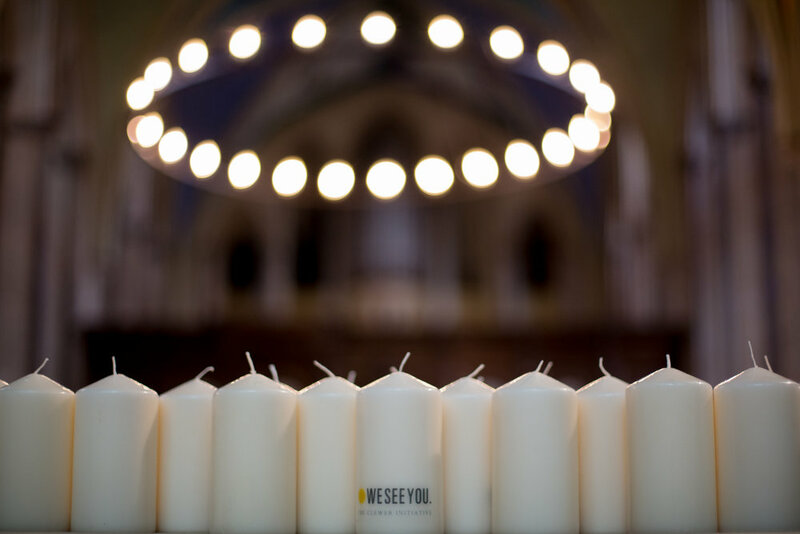 During the service we asked God to bless the candles, and use them to remind Dioceses to pray for our work, and for those who are trapped in modern slavery. Another Clewer Sister, Sister Anne, prayed for us alongside James Henderson, who leads our work in the Diocese of Lichfield. It was very meaningful to have two people pray for us who have done and will do so much to end injustice across the world. Read about our main launch event here and keep up with us by signing up to our newsletter.